Prints and mixing prints are all the rage right now, and if you wanna look bold and edgy, you should add prints to your spring and summer wardrobe, too! 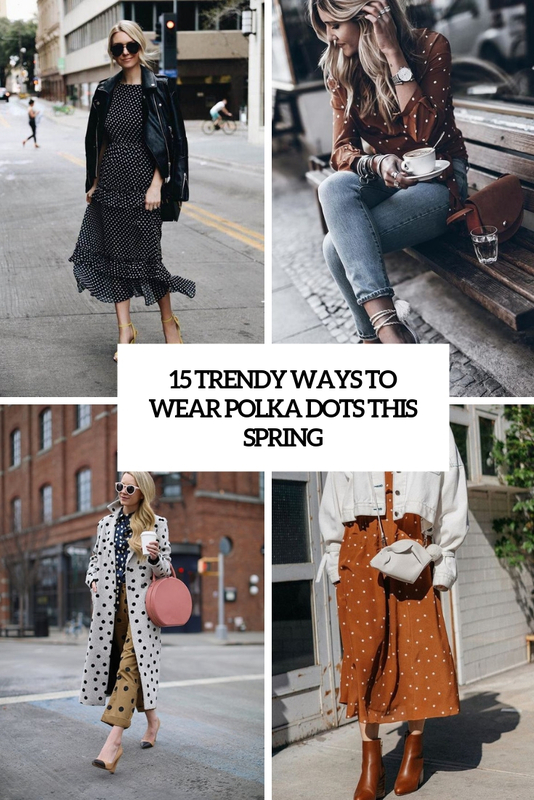 The trendiest print for spring-summer 2019 is polka dots, and here are some cool ways to wear them. 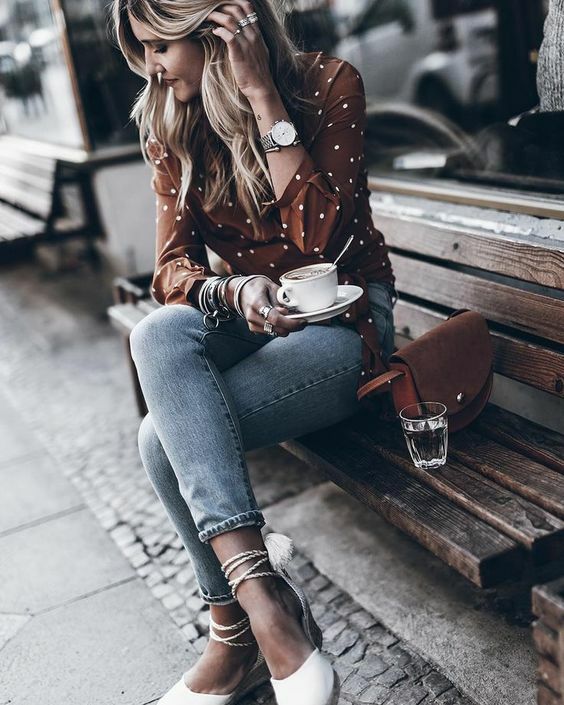 Total polka dot looks is a trendy solution for 2019 – the year is about mixing prints and combining various polka dot items in your look will make you very edgy. Don’t be afraid to combine various sizes of prints and keep the outfit cohesive with a single color scheme. One more super trendy polka dot idea is a dress, better a midi one. Whatever design and colors you choose, it’ll be hot! 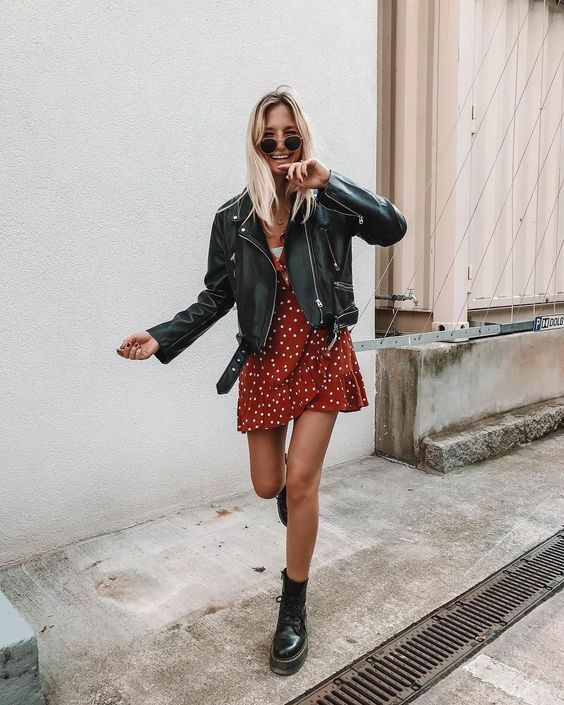 Add heels or combat boots, maybe sneakers or mules and a denim jacket, a moto jacket or a trench. 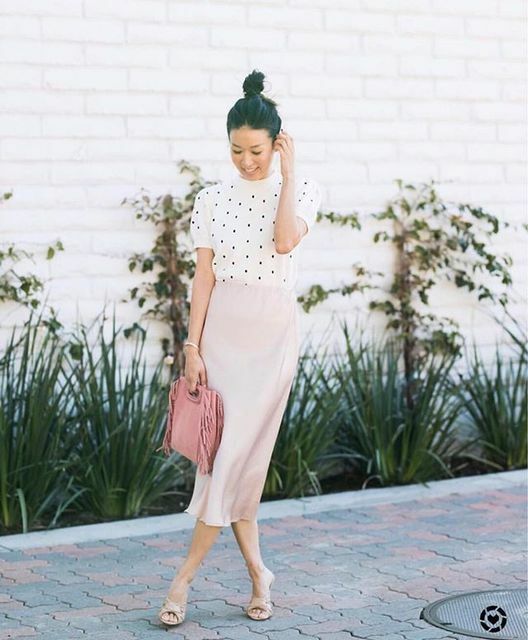 Polka dot skirts are also on trend, and we highly recommend pleated midi ones for ultimate comfort.